Does dry, brittle hair automatically mean protein overload? I recently bought a protein treatment to help with my excessive breakage but I don't want to use it, if it's only going to make my hair drier. Is there a difference between having normal dryness and dryness caused by protein overload? This is really a two-part question that needs to be addressed, as many may find themselves in similar situations. The need to fix dry, brittle hair is necessary but finding out the cause is essential to getting the right treatment to do the job and prevent further damage. First off, dry and brittle hair can be a sign of several things and not just protein overload. Let’s define protein overload. Protein overload is just as it sounds. Protein overload in our hair is upsetting the delicate balance of moisture and protein. Hair can be dry and brittle from improper diet, chemical treatments like color or straightening, climate, medical illnesses, or even medication. It is not always just the products we use that can make our hair dry, so it is important to find out the possibilities prior to rectifying the situation. If all of those mentioned above do not pertain to you, then reviewing the ingredients list is a great way to determine if you are getting too much protein. Protein is necessary but on a daily or even weekly occurrence. Our hair can stand a protein treatment monthly or even less, especially if one is not using chemical treatments or excessive styling. Many styling products we love contain protein, so checking to see if you are using gels with hydrolyzed protein or silk protein will allow you to determine if you are overdoing it. Another way to determine if you have protein overload is a simple strand test. Take a wet or dry strand of hair and gently stretch it. If it barely stretches and snaps then you need more moisture and may have too much protein. Too much protein robs the hair of elasticity and elasticity allows us to manipulate our hair without causing breakage because the hair should be able to stretch and not instantly break. If your hair is breaking off easily when manipulated then that may be a sign of protein overload. You may need to put off the protein and concentrate on moisture. Right now your hair is telling you it is dry and needs moisture so use very moisturizing products to cleanse and condition. Use sulfate-free shampoo to combat the dryness and breakage. Deep conditioning should always follow cleansing. 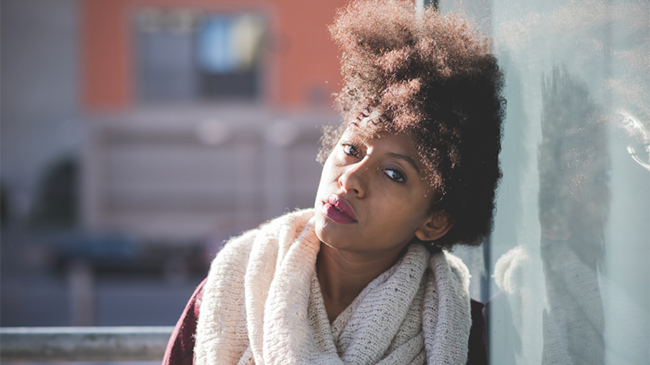 Use a moisturizing leave-in conditioner to reinforce the moisture plan and remember to seal your hair and ends (pay close attention to the ends) to the dryness and breakage. Steer clear of products with protein to bring up the moisture balance in the hair and implementing methods like the baggy method to increase the moisture quicker. Once you notice a difference, try incorporating and continue using a protein treatment but make sure to not use it more than once a month. What say you? How have you fixed dry, brittle hair?